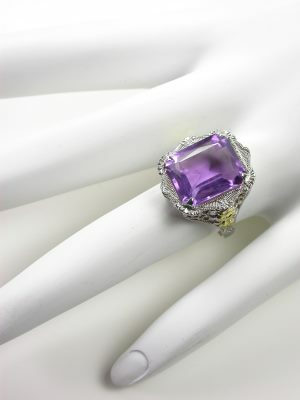 Even spring's most perfect lilac couldn't rival this vintage cocktail ring's amethyst. 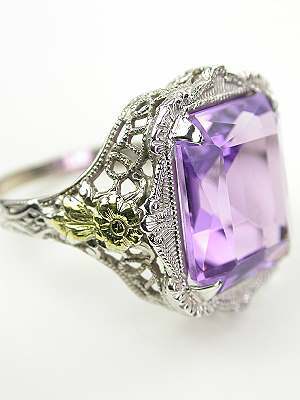 The focal point amethyst gemstone in this vintage cocktail ring is framed in metallic lacework Contrasting green gold flowers whimsically play peek-a-boo amidst the pierced filigree band. Details: Vintage. Circa 1930. 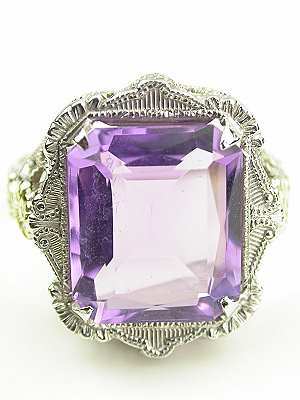 Trademark M-M-M. 14k white gold. 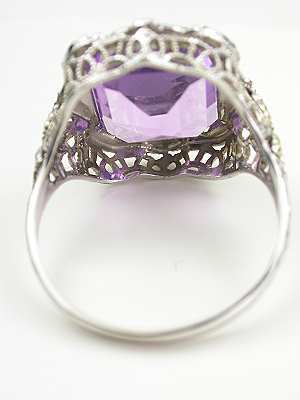 Rectangular cut amethyst; 5.11 carats. 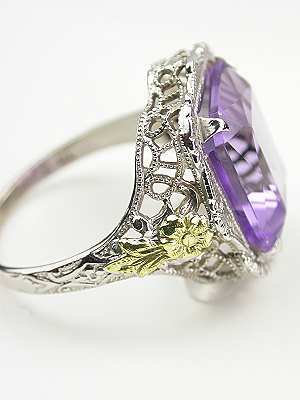 Special characteristics This vintage amethyst cocktail ring features a classic pierced filigree mounting with green gold floral trim. Trademark of M-M-M.